This book explores the institutions through which Taiwan was governed under Japanese colonial rule, illuminating how the administration was engineered and how Taiwan was placed in Japan’s larger empire building. The author argues that rather than envisaging the ruling of the society and then going on to frame policies accordingly Japanese rule in Taiwan was more ad hoc: utilizing and integrating "native" social forces to ensure cooperation. Part I examines how the Japanese administration was shaped in the specific context of colonial Taiwan, focusing on the legal tradition, the civil service examination and the police system. 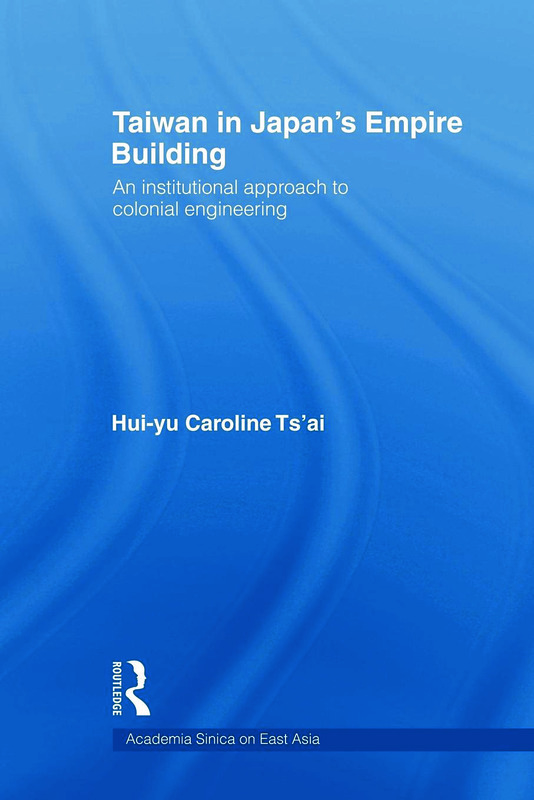 Part II elaborates on the process of "colonial engineering," with special attention paid to "colonial governmentality", "social engineering" and colonial spatiality. In Part III Hui-yu Caroline Ts’ai provides a more in-depth analysis of wartime integration policies and the mobilization of labor before making an evaluation of Japan’s colonial legacy. Taiwan in Japan’s Empire-Building will appeal to researchers, scholars and students interested in Japanese Imperial History as well as those studying the history of Taiwan.